The Island Institute is a non-profit working to build strong, sustainable communities on the coast of Maine. When they undertook a capital campaign to fund education and infrastructure initiatives in island communities, they needed a compelling case statement to inform potential donors about their vision and goals. 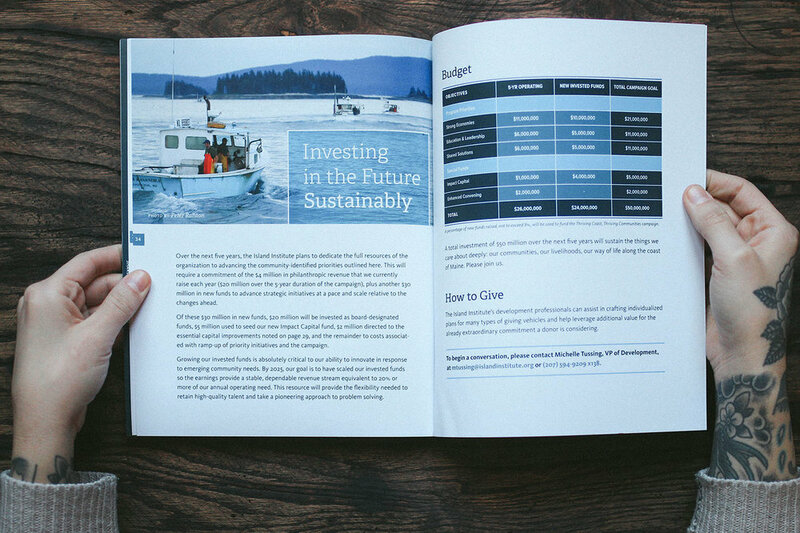 Might & Main designed a 20-page perfect-bound book that presents personal stories, photos, and facts and figures that make the case for funding.